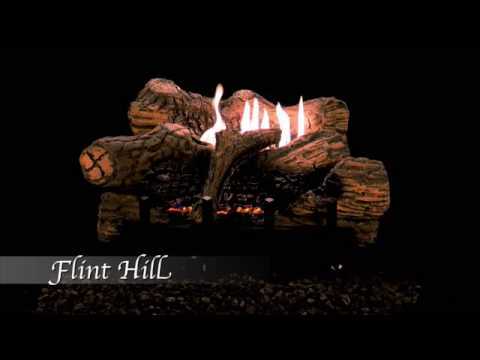 Lugging logs in from the cold all winter, tending to a fire and cleaning out the fireplace are all things of the past with this Flint Hill log set. These exceptionally realistic logs are molded from Ceramic Fiber. Wood grain and bark detailing is then hand painted by the artisans at Empire. The matching vent free Contour burner provides 10,000 BTUs of supplemental heating power to quickly and efficiently heat your space. Surprisingly compact, they fit into fireboxes as shallow as 12 inches. The Empire gas log Contour burner gives you a consistent flame that can be variably adjusted. This Contour burner can be ignited by means of a push-button Piezo ignition switch or the included remote. For safety, an Oxygen Depletion System will shut down the burner if the oxygen levels become unsafe. All gas log sets from Empire Comfort Systems are designed and tested to ANSI standards. Empire proudly manufactures their Gas Log sets in the USA. This set features a basic on/off safety pilot valve that is operated by on/off switch or the included remote control.